Any chance you would consider making a double sided map with Tales of Mars on one side, and Chem Zone on the other? You've got a lot of other cool ones, but none that has either of those. As a mat-owner and gamer, I can't recommend this route personally. I know a lot of companies are jumping on the random sized mat bandwagon for stuff like Legion, but as a gamer....you can always use less-mat, but you can't magically add more. The Legion mats are 6'x3' etc. which is a bizarre shape. You're 100% better off getting a 6'x4' and just not using all of it. Same goes for Kill Team. You're throwing money away if you're buying an intentionally small mat which then can't be used for other things. Get a 4'x4' and just use less of it. I know many people who have purchased smaller or unique shaped mats and really regret it because the mat is still expensive but not versatile due to its size. I would rather purchase and own several 22 x 30 mats. 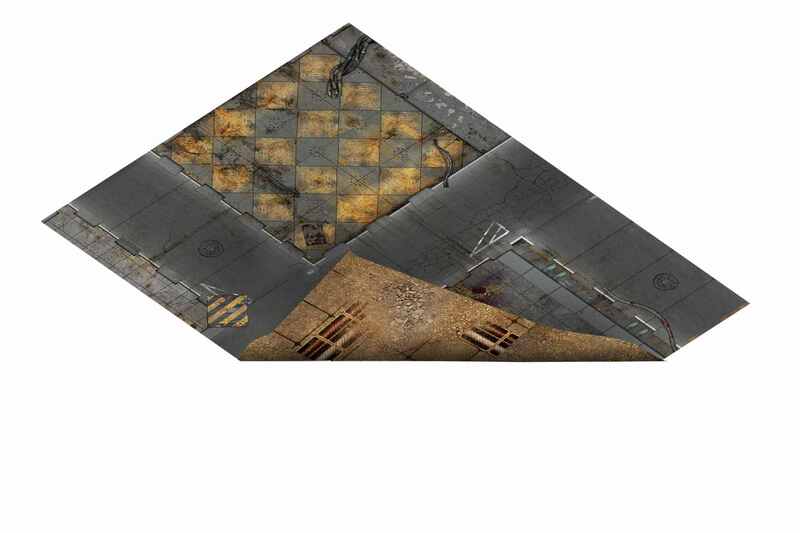 As a customer who owns four Realm of Battle configurations, four Games and Gears board sets, a half-dozen 6x4 mats and four 4x4 mats and a few specialty sized mats, I want exactly a mat that is sized for Kill Team to be able to play Kill Team on it. I concur and I imagine it will differ based on the utility and personal taste of the individual. I don't want to mark a larger mat with dice or whatever else to ring the area off, I think it looks ugly, I just want to plop down a mat that is the perfect size. My utility is such I can afford this, I imagine if I was balling on a budget yeah I'd just stick to bigger mats. I suppose people see things differently. I don't see it is a budget issue, rather a wasting of money issue, but hey, do what you gotta do. 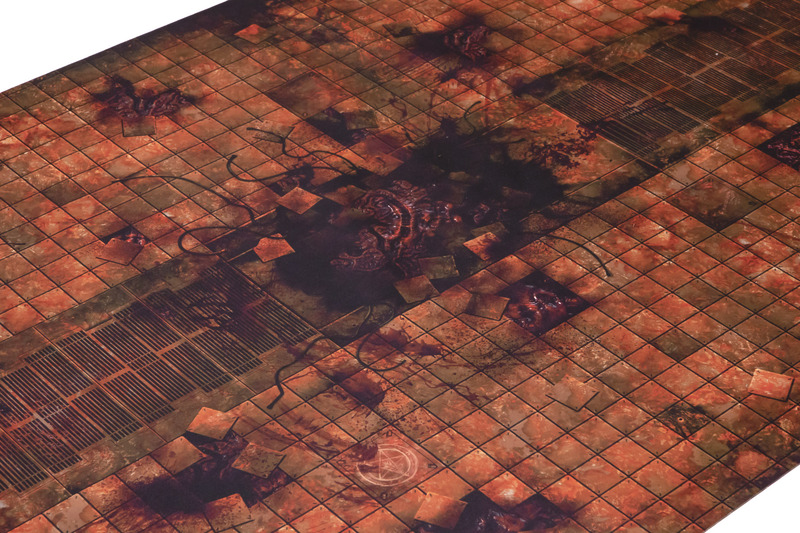 I'm also looking for a 22"x30" mat specifically for Kill Team, despite owning a few 6'x4', 4'x4', 3'x3' and 2'x2' mats. For one thing, I can play it on my kitchen table without needing to bring in my extended tabletop from the garage. Also, I just like having the battlefield clearly delineated, anything on the mat is in-universe, anywhere off the mat out-universe and is free reign for cards, books, dice, and beer. Masking off a mat just feels like having a velvet rope cordoning off that part of the table, might as well have a "wet floor" sign. Masking off is certainly utilitarian and cost effective and gets the job done, but I prefer the right tool for the right job, as it were. 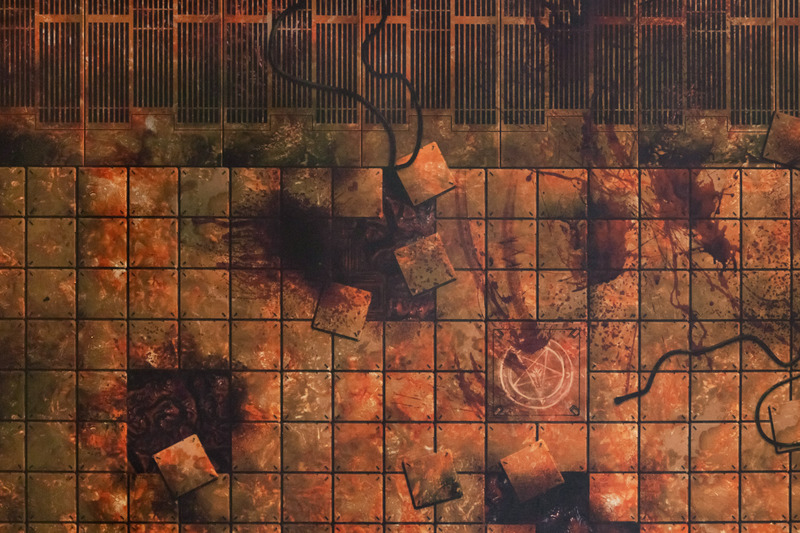 If a 22" x 30" mat is too specific to just cater to one game like Kill Team I'd at least like a 24" x 36" mat option on new or existing designs which would give a bit of flexibility but still easily work for Kill Team. The weird not-quite 2 feet by not-quite-3 feet size is annoying. A simple 2x3 mat would be great. This is absolutely correct. I absolutely do not want sweating beers on the mat, nor loose dice delineating the play area, or things getting shifted. When you're into a game's aesthetic, random dice or rulers marking edges just looks terrible. If you're masking off a game mat, might as well just play on a piece of plywood with masking tape - which is fine if that's fine with you. I could certainly take any of my 4x6 and mask off three playzones, but that would be ugly as sin. It's already a luxury hobby. I buy faction and special dice and 40k card decks because of the aesthetic or convenience. I know guys who don't own their card decks and use old dice they've had for twenty years. They think me buying Thousand Sons dice or the Thousand Sons card deck, was a waste of money. Some of them think buying terrain is a waste of money. For me, the aesthetic is a huge part of the game - so I much prefer to use a 22x30 mat with specific 40k terrain, instead of some other randomly sized mat with, like, a cottage and styrofoam hill and a clearanced aquarium piece. You seem to be preaching to the choir here (I have custom dice cut for each of my armies...) but I won't litter this thread with more discussion.. I'm in love with that new chem zone mat and accompanying terrain. Do they ever have sales or discount shipping to the US? 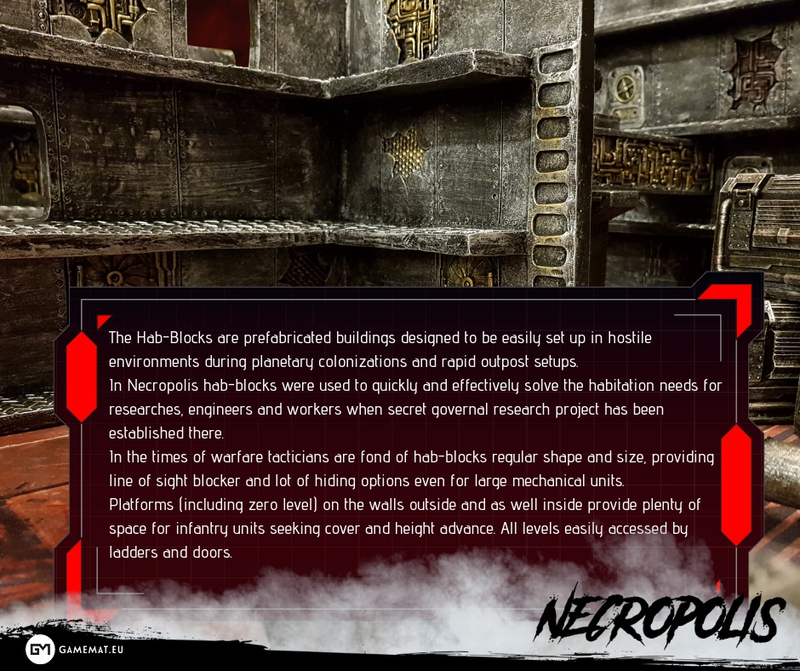 Stay tuned for a battle report of Warhammer 40 000 or Kill Team using our new terrain! Pre-painted? I'm guessing they aren't plastic then. 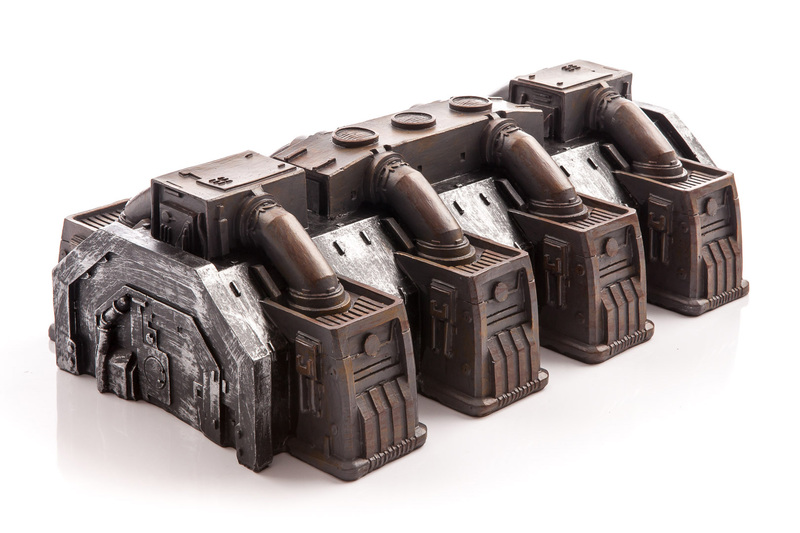 Are the pipes and connection points on the tanks at least compatible with the stuff from Games Workshop? But yes it is special type of resin heavy and sturdy enough to create any terrain feature. I got the kill team mat, it's great. Want to get the chem zone mat, but not a fan of the yellow terrain. Will probably just get some industrial terrain and add to the chemzone mat. yes Industrial proving itself again! Thank you! 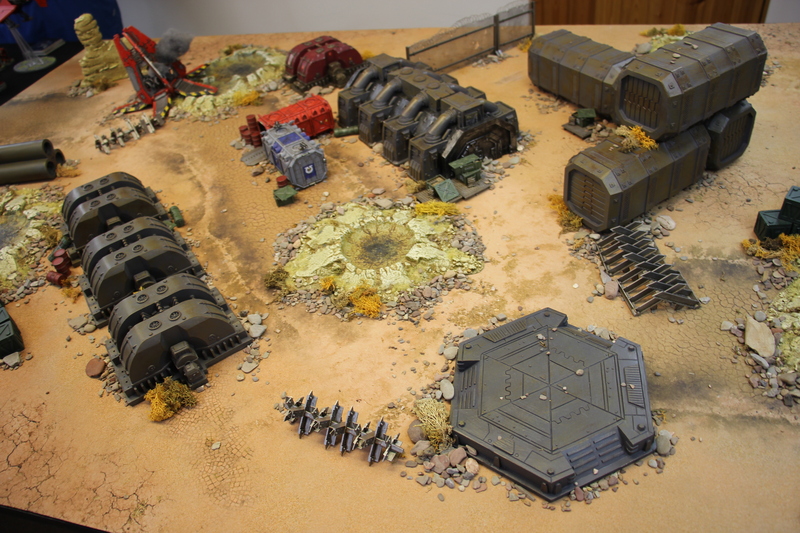 Great showcase of our Industrial terrain by StrikingScorpion82 in Warhammer 40k battle report! Also please note we have now Generators and Main Building as separate products in our webstore! Yes! Finally more mats in 6x3 feet size: very popular classics Highlands in War and Sands of Time are ready for pre-orders. Great for your Star Wars: legion games, Rune Wars or smaller games of Warhammer. 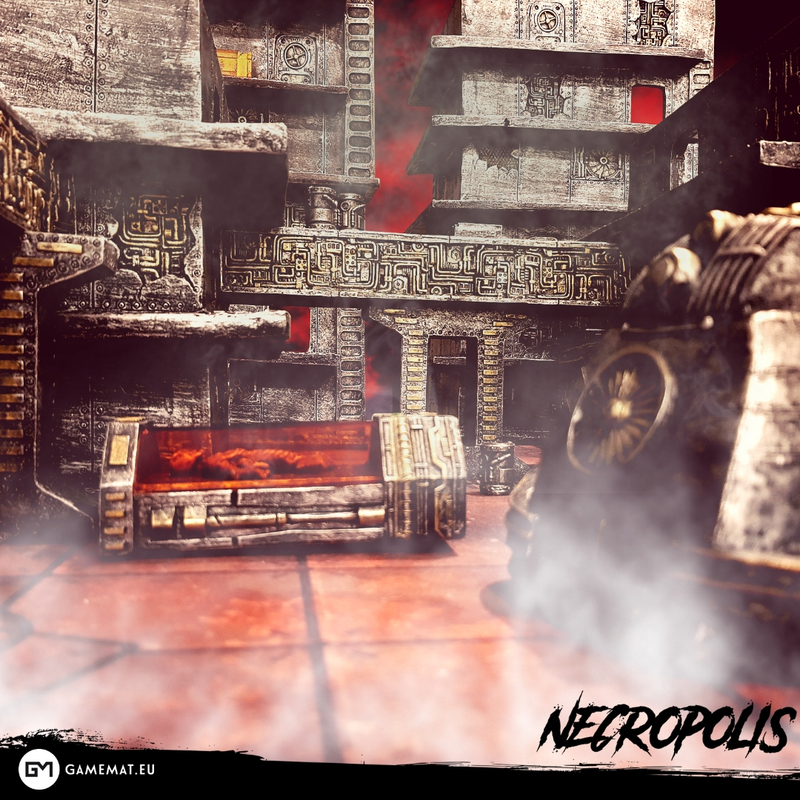 This week we will reveal some more details on Necropolis sets. Starting with the Hab-Blocks. It is a L-shaped piece providing massive LOS block and multilevel platforms. Enjoy! Set should be ready for pre-order end of this week. Very nice! I really like that dry desert river bed too! I can attest to the quality of Gamemat.eu's terrain (and mats, for that matter). Fantastic stuff all round. 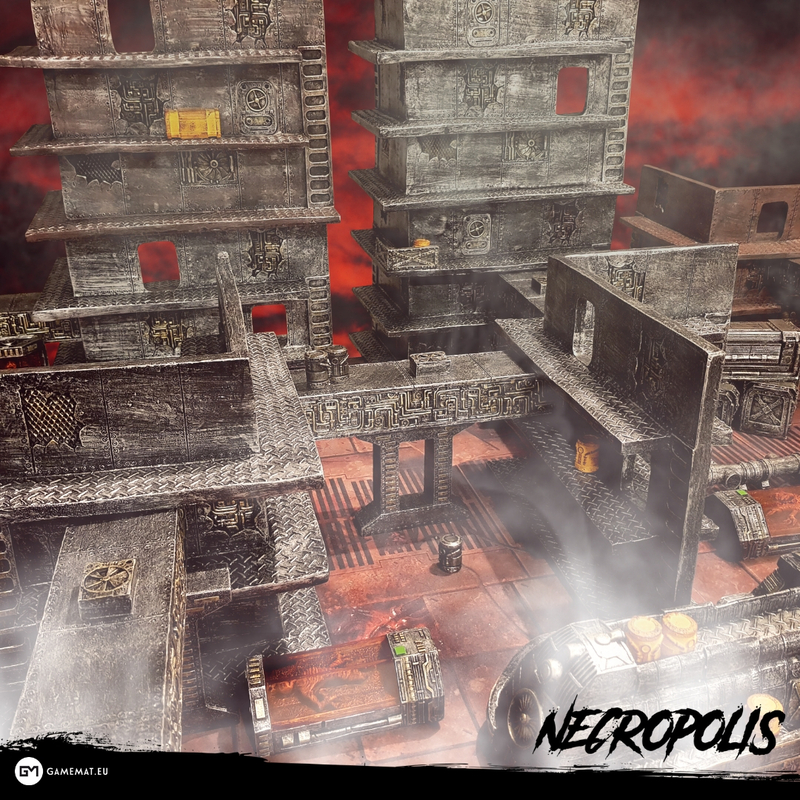 More pics of Necropolis mat! 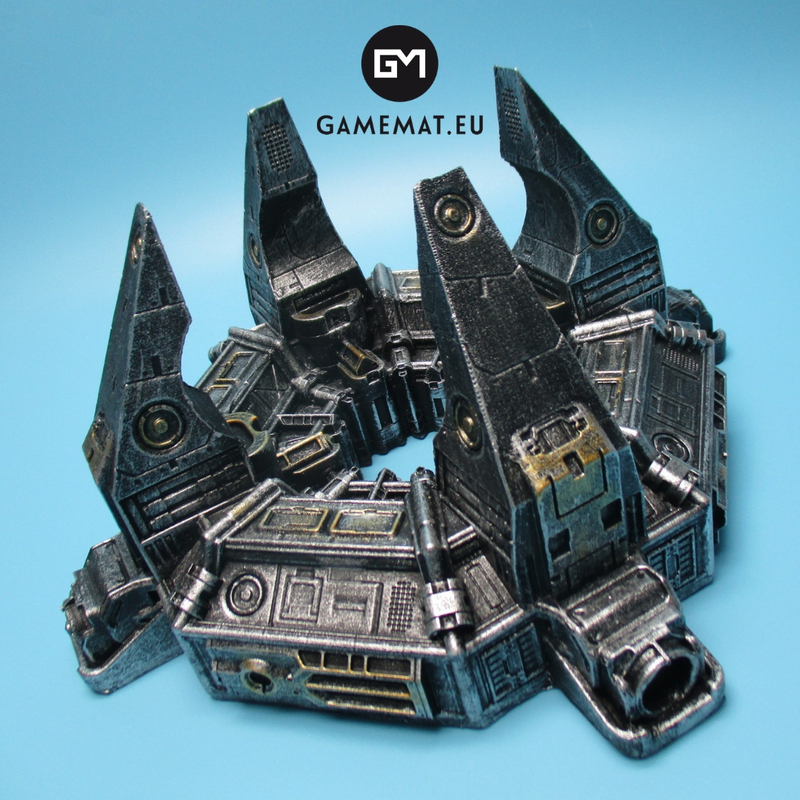 Checkout https://www.gamemat.eu/ for battle mats and matching pre-painted terrain sets. November Update: Our first ever MDF terrain, Campaign works and Necropolis expansions. 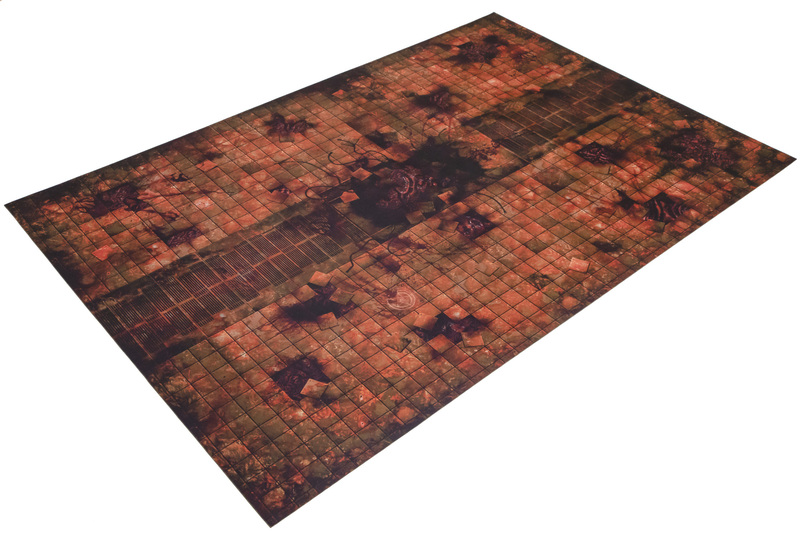 Check-out our range of 6’x3′ battle mats. The Portal - truly a great centerpiece, with 30 by 30 cm base, and 15cm heigh, shows the hi-tech technology used to open and maintain the warp-gates at the Necropolis project. Portal is made of resin, and is sold pre-painted, as can be seen on the pictures around. - on sides it has 4 connectors - which will fit by size our pipes (Chem-Zone Conduit system) thus you can create system of the power lines for the Portal. - it provides plenty of cover in skirmish games as Necromunda or Kill Team - you can partially or fully hide the models on many places around or on top of it. - Also for games of Warhammer 40k it suits as "ruin area" type of terrain - you can easily fit 10 miniatures with 32mm bases on top platforms of the Portal.